I haven't done a WIP Wednesday post in a very long time! This week I am super excited about what I am working on. 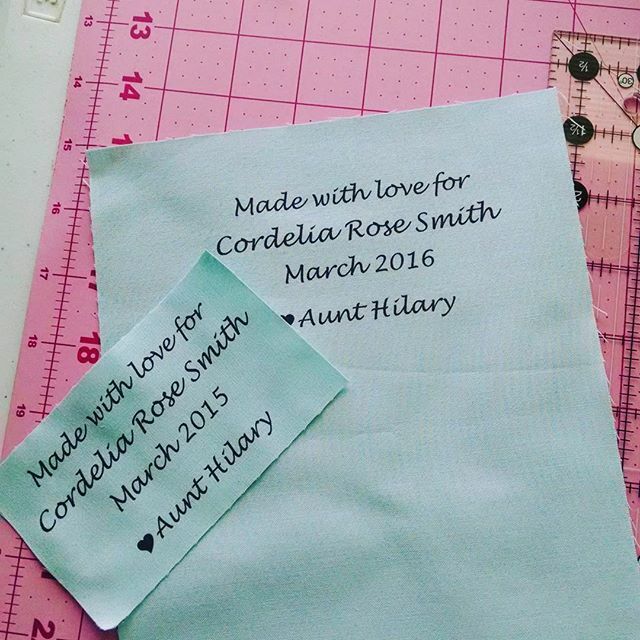 If you follow me on Instagram you have seen that I am making goodies for my soon to be born niece. I'm making her a quilt, and crib sheets, and a bed skirt for her crib. I love playing with all these girly colors. 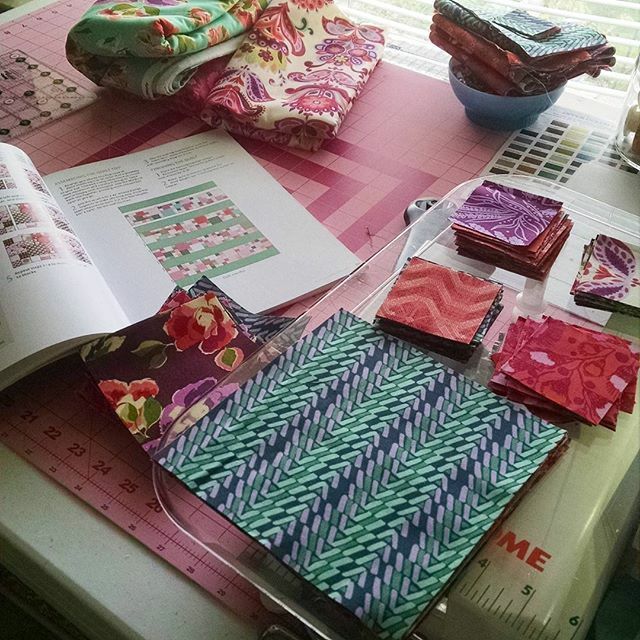 I am working with Amy Butler's Bright Heart Fabric. 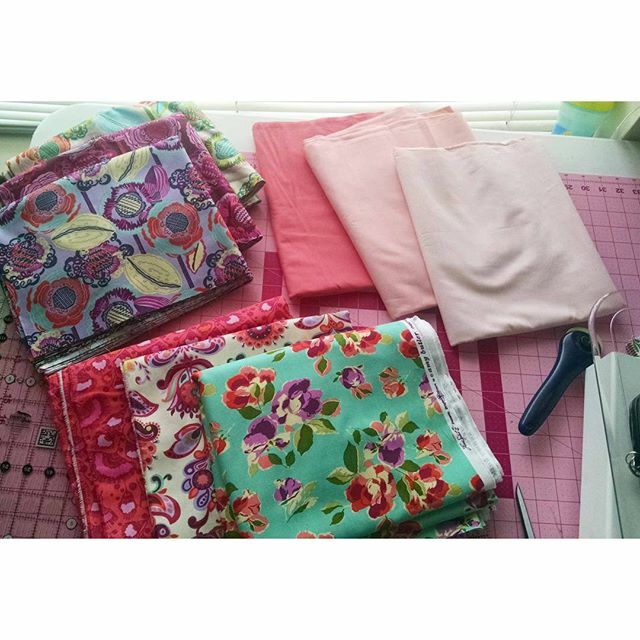 I picked up FQ bundles and yardage from one of my favorite online shops, Hawthorne Threads. They still have quite a bit in stock and shipping was super fast! The pattern I am using for the quilt is an adaptation of a pattern from Elizabeth Dackson's book, Becoming a Confident Quilter. 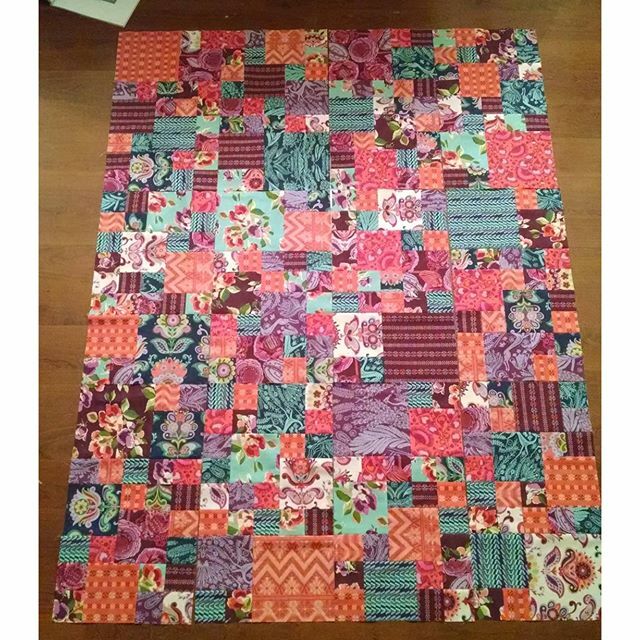 I simply didn't add the strips of sashing between the patchwork. I love the look of this, it reminds me of my Texas QAL quilt top. Today I made the label that I am going to applique on the back, and I am so glad I was paying attention because my first version had a typo! My niece is being born in March of 2016 not 2015! This is my first time printing on fabric, so hopefully it lasts like I have read. I might test wash the mistake one to see if the ink runs. Well that is what I am working on this week. What are you working on? The quilt looks beautiful, very pretty fabrics! I was the same way when I had a niece. Babies, especially those in your family, are always fun to make things for. My goal is to make my niece, who will be two this year, an I Spy Quilt by the time she is three. She already loves animals and to "read". I love the fabric you have chosen for her items!